Stronglink is a leading Fibre & Data Manufacturer supplying cable, tools, assemblies, components, management in fibre an data as well as telecommunications and voice products. At Stronglink we supply to major data and electrical wholesalers throughout Australia and New Zealand. Contractors becoming a Stronglink Certified installer, allows access to provide a certified warranted 15 year solution with Stronglink products. See below the certified installer application form, Warranty terms and conditions, Warranty statement and the warranty application form. 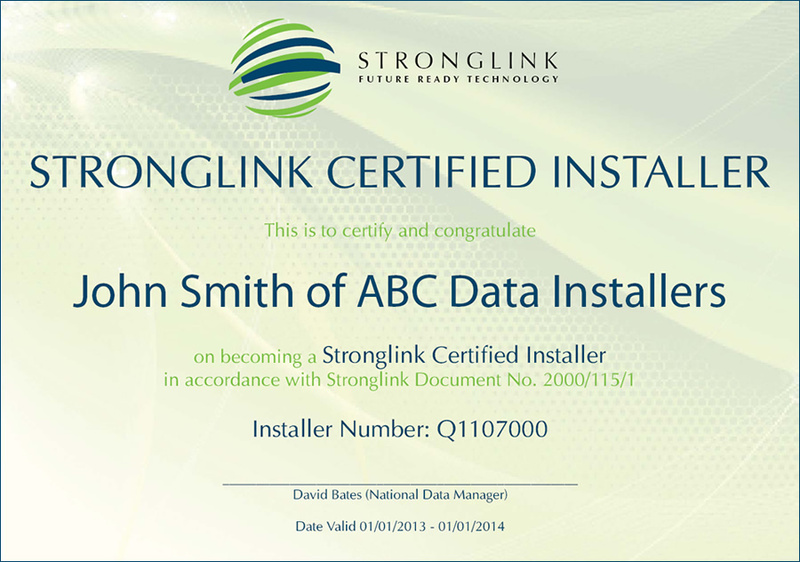 You can also apply online to become a Stronglink Certified Installer.